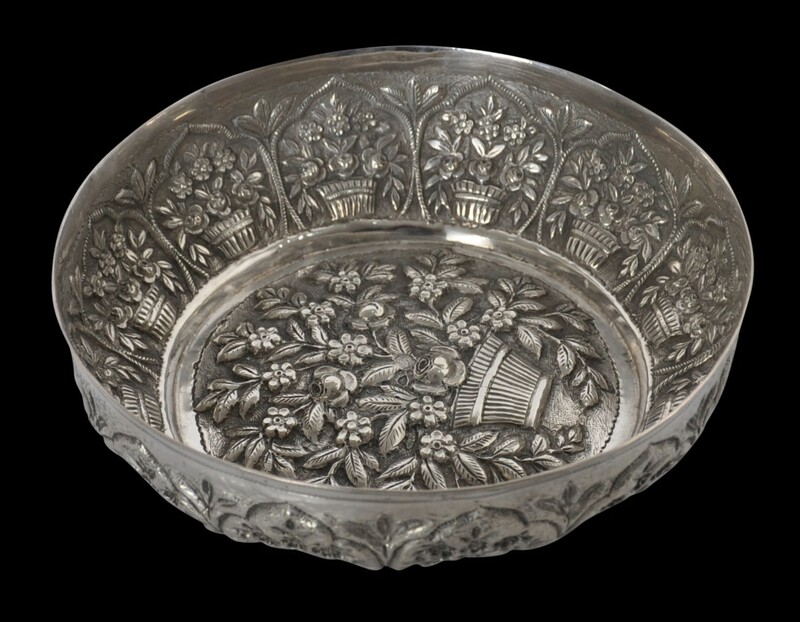 This fine, wide silver hamam bowl is repoussed all over in relief with baskets overflowing with foliage and flowers. 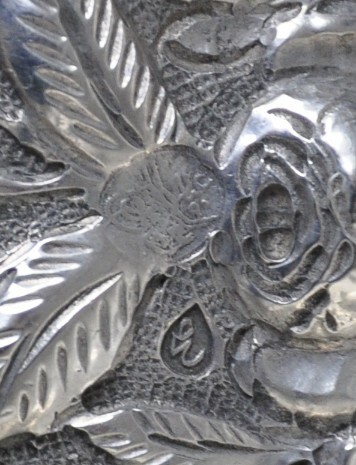 The interior base has one large basket and flower motif with the flowers spilling out to emphasise prosperity and plenty. The interior rim is decorated with twelve repeated mihrab-like cusped frames that enclose smaller basket-with-flowers motifs. 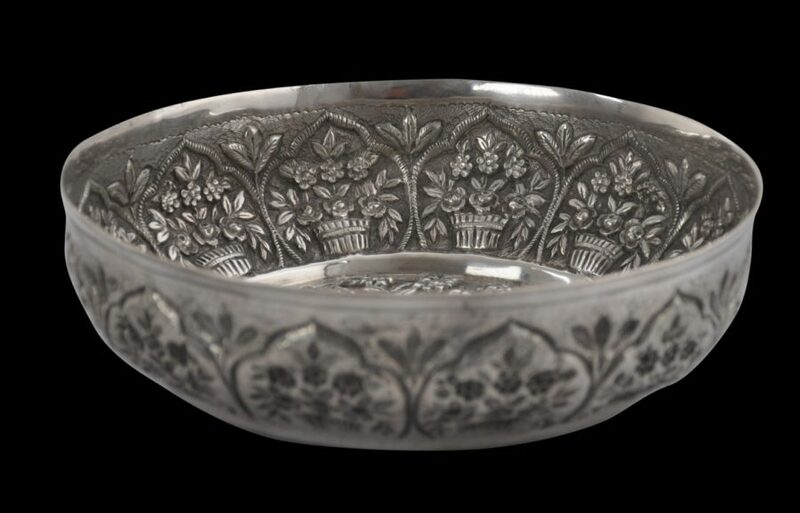 Traditionally, silver bowls such as these were used by the wealthy when dousing themselves with cool water in the hamam or traditional Turkish steam bath. They could be turned over and be used as headrests too, during the steaming and bathing process. 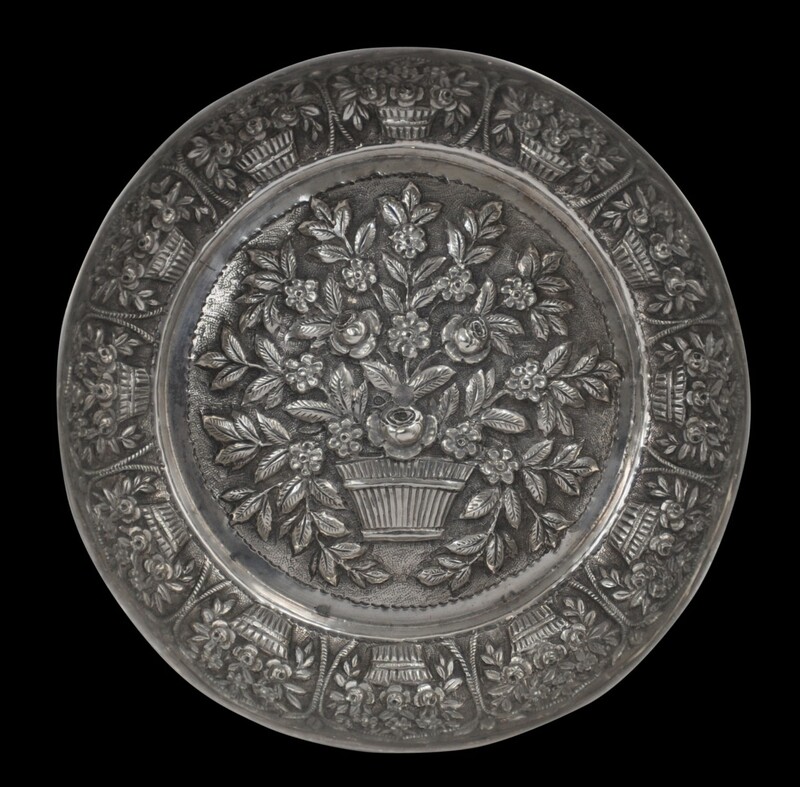 The bowl is stamped in the interior base with the tugra (cypher) for the Ottoman sultan Abdulhamid II (1876-1909). Tugras were used as assay control marks in Ottoman Turkey in the way that hallmarks were used in England as control marks on English silver. Kurkman, G., Ottoman Silver Marks, Mathusalem Publications, 1996.